Lenovo is taking another swing at the MacBook Air. Having discontinued their X300 ultraportable line, Lenovo seemed content to compete at the 11" and 12" form factor, without sitting a horse at the popular but Air dominated 13.3" form factor. But a listing on a Swiss computer distributor's site leaked and documents released on the Lenovo channel distributors' site confirmed that the ThinkPad purveyor is planning to take on the Air with a 21.5 mm thick ultraportable notebook called the X1. While not quite as thin as the much hailed MBA, the X1 packs impressive specifications, especially for a device targeted at those of us used to sacrificing performance for lightweight. Headlining the device is a 2.5GHz Core i5-2520M CPU, the same processor as can be found in the 34.6 mm thick X220. Let me say that again, Lenovo managed to grow the screen and pack the same processor into a device one third less thick. 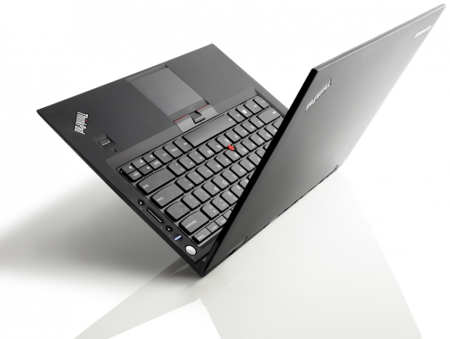 A 13.3" 1366 x 768 Gorilla Glass screen, 160GB SSD, 8GB of RAM, an SDXC card reader and the excellent keyboard and build quality we've come to expect from the ThinkPad line round out the specifications. But that's not all. 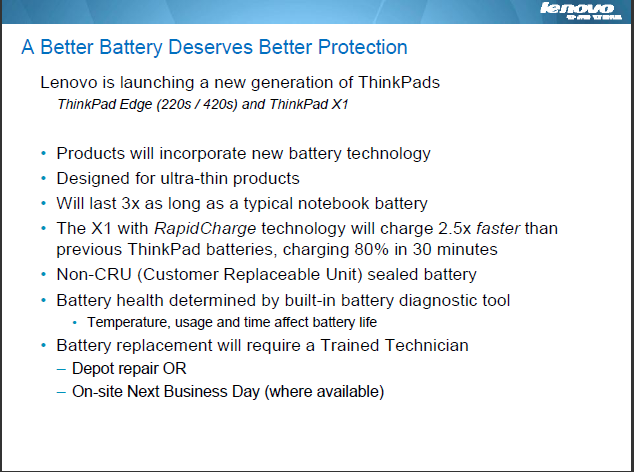 Earlier today, Lenovo released slides from a distribution webinar that reveals that the X1 will sport a new type of battery which promise significant improvements in stamina and charging speed. Lenovo claims an 80% charge in just 30 plugged in minutes, for the sealed battery. This battery technology is expected to be included in all their future ultraportable notebooks including the previously announced Edge 220s and 420s, and the X1 is rated at 5 hours of use between charges. And there's one more thing. 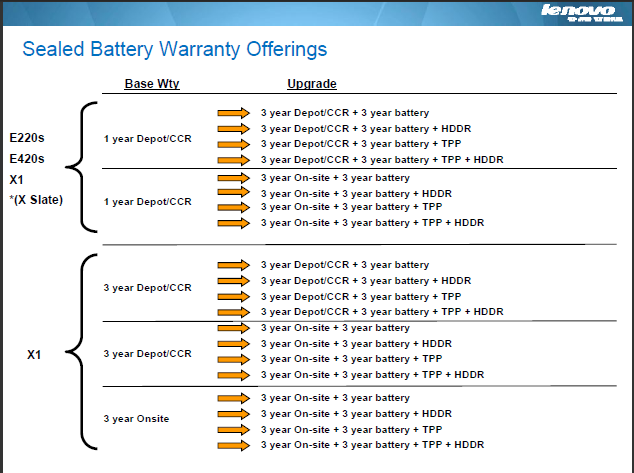 In the same slide discussing the new warranty policies regarding these new batteries, Lenovo reveals that the battery tech will be included in the X Slate - presumably Lenovo's upcoming Honeycomb based tablet offering. 350 nits would certainly be a competitive display brightness, and it's possible that they Lenovo will offer another "slice" battery, that will add another 5 hours and will take some of the pain out of not being able to swap the battery out yourself. An external battery inhibits mobility, generally what you require when you can't plug in somewhere to recharge in the first place. It hardly works "just as well".